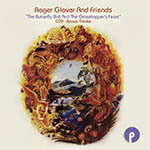 It was originally conceived as a solo vehicle for Jon Lord and to be produced by Roger Glover who had recently left Deep Purple, but Lord proved too busy with Deep Purple and Glover took up the reins on his own. 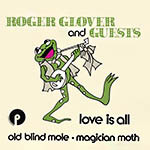 Using his connections, Glover recruited a large cast of noted rock musicians to perform on it, with a different vocalist for each track including David Coverdale and Glenn Hughes. The single "Love Is All", with vocals from Ronnie James Dio, made a minor impression in the UK but reached number one in The Netherlands. 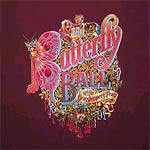 On October 16th 1975, a one-off performance at the Royal Albert Hall took place. Again it had a star-studded cast of rock musicians, most notably Ian Gillan who was drafted in at the last minute and received a standing ovation on his entrance. He replaced an unavailable Ronnie James Dio who had commitments with Ritchie Blackmore's Rainbow (although Dio did eventually get to perform the song at the Royal Albert Hall in 1999 as the guest of Deep Purple). Gillan had not performed since leaving Deep Purple in 1973. Also notable was the appearance of Twiggy as singer and actress and Vincent Price as narrator. 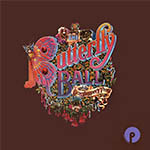 The live concert was filmed and released in 1976 produced by Tony Klinger. Unfortunately, the excellent live performances were marred by interjecting scenes with actors in cheap looking animal costumes cavorting around in total dissonance with the songs. 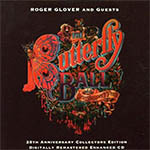 Roger Glover And Friends: "The Butterfly Ball And The Grasshopper's Feast"